As you put away the tools from another long day of replacing parts on your daily driver, this time it was all new suspension bushings, tie rods, and ball joints, a smile flashes across your face. A job well done! you say as you hop into your car and back out of the driveway. Everything is fine until you reach 30 miles an hour, and all of a sudden, the steering wheel gets tight, and the car is pulling to the left. 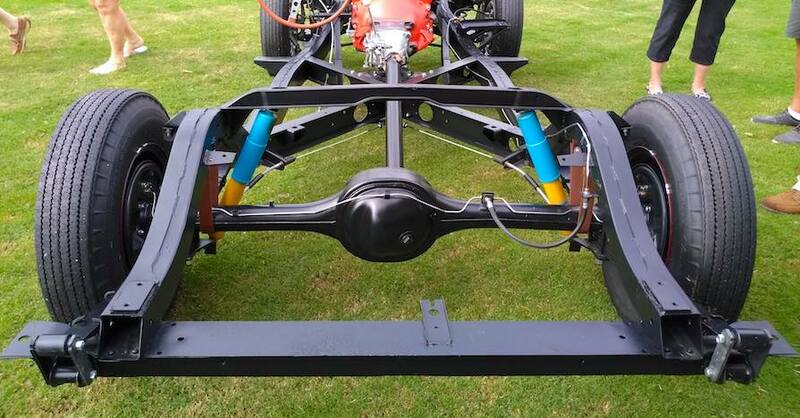 You quickly turn around and take the car back home to have a look under the chassis. Your parts are fine, and you torqued everything to spec, so what could be the problem? Then it hits you – wheel alignment. Better head to your local NAPA AutoCare to get things pointed the right way. Suspension and steering system repairs, changes or modifications always dictate a new wheel alignment. Just a slight tweak to the caster, camber, or toe will seriously alter your vehicle’s handling. 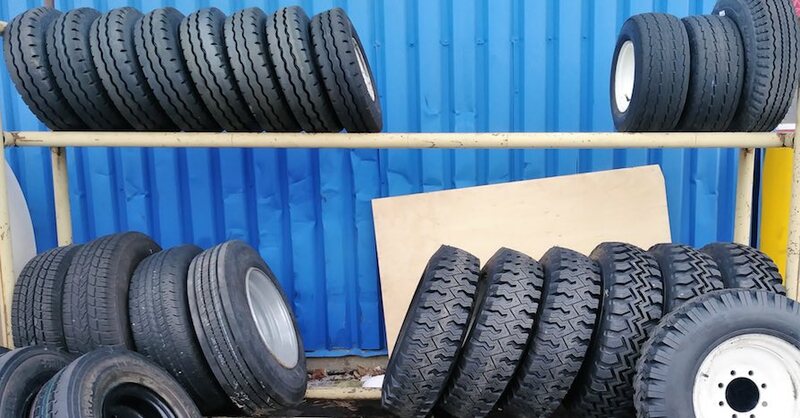 If left unchecked, your tires will wear out much faster as well. In fact, just 100 miles with a bad alignment permanently shortens the life span of your vehicle’s tires, and can reduce the life of your suspension and steering consumables as well. 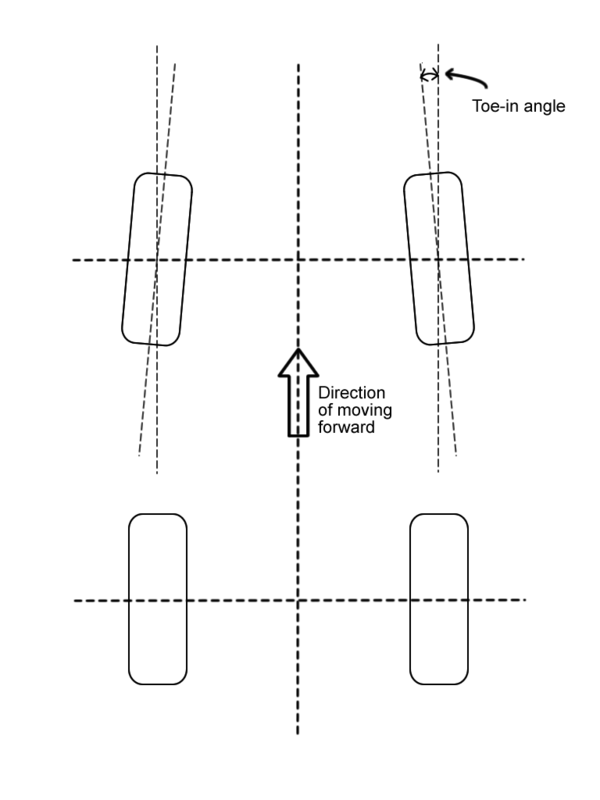 Alignment is adjusted through three settings: camber, caster, and toe. Each setting effects different handling characteristics, while working together to keep your vehicle tracking in a straight line. Every car is different, so one set of adjustments will not necessarily work on another. The camber of the wheels is the lean from true vertical, either negative (top in), or positive (top out). The angle of the vertical side of the tire is called camber. 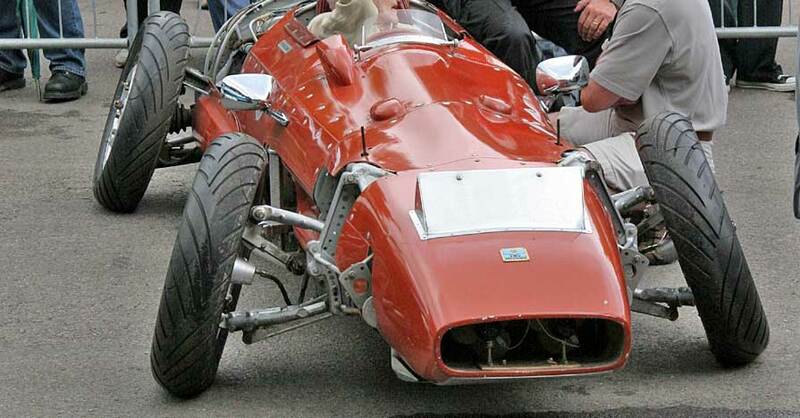 Negative camber points the top of the tire inward towards the engine, where positive camber angles the top outward. This setting is noted in degrees, positive or negative. Most vehicles use negative camber settings. 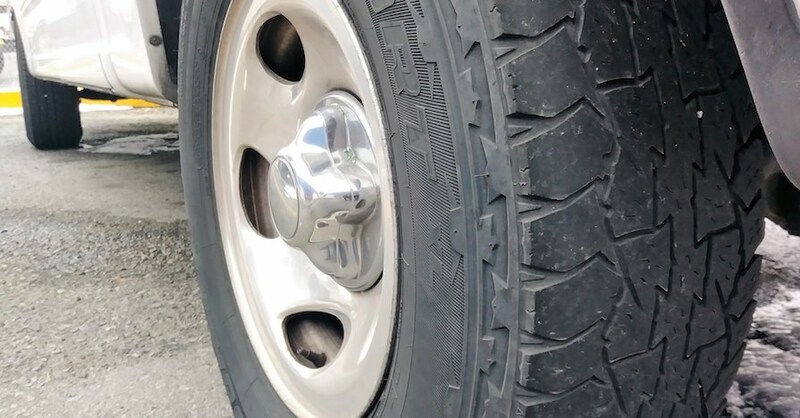 Aggressive driving requires more negative camber—within reason as too much negative camber eats up the inside of the tires faster and can yield camber thrust, where bumps in the road can cause the vehicle to move across the road as one tire loses grip, the opposite pushes toward the loss in traction. Another drawback of aggressive negative camber is reduced straight line traction for stopping and acceleration. Front wheel drive vehicles often have positive camber and typically non-adjustable. Camber adjustments are usually made at the top of the upper control arm or strut mount, moving the upper position inward or outward. This is most often accomplished with shims. Caster is not as simple. You can’t see caster, which is the relationship between the steering pivot and the roll center. 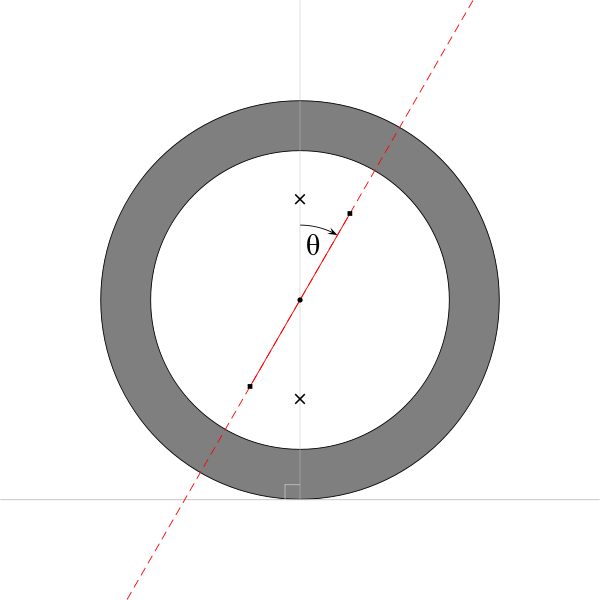 Consider a bicycle, the pivot point on a bike is behind the roll center of the wheel, if you drew a line through the center of the pivot point, it would run from the top rear to the front bottom, this is negative caster. Negative caster keeps the wheels pointing straight and stabilizes the vehicle. If the caster was neutral, the wheels would not be stable, the car would wander on the road, especially above 50-60 MPH, and the steering wheel would not return to center after a turn. Older vehicles that use kingpins instead of ball joints, such as the 1955-1962 C1 Corvette, have a really hard time with caster, as there is very little adjustment. Caster adjustments allow you to tune stability, cornering, and turning effort. Positive caster yields better straight line tracking and high-speed stability, but at the cost of very high turning effort. Even with power steering, positive caster makes turning the steering wheel more difficult. For this reason, most older vehicles use negative caster. Caster adjustment is typically made at the upper control arm or upper strut mount, fore and aft. Not the little piggy that went to market, Toe is the angle of the tires, front to back. Toe-in angles the tires together in the front, toe-out angles the front of the tires away from each other. This does several things- it stabilizes travel in straight lines, while adjusting for the car’s natural oversteer or understeer. Toe is measured in degrees or inches, and is paramount for tire wear. Too much toe in either direction scrubs the tires, reducing the life while hurting straight line speed. Too little toe allows the vehicle to wander on the road. Toe adjustments are very small, often just 1/32 of an inch per side. Toe and caster go hand in hand, adding toe can compensate for minor caster deficiencies. Rear-wheel drive (RWD) vehicles typically use toe-in, as the rear wheels push the car. This counters the natural oversteer in RWD vehicles. Because the rear tires push the front of the car, the front suspension bushings tend to walk outward at the front. Toe-out is used for front-wheel drive (FWD) vehicles, as these cars tend to understeer, where the front end wants to go straight instead of turn. As FWD cars are being pulled by the front wheels, the front bushings are typically pulled forward, the toe-out is the compensation. Toe is adjusted through the tie-rods. Setting the wheel alignment is a matter of trial and error adjustments. With a professional laser-guided computerized wheel alignment machine, it can be done in a couple of hours and get you back on the road with straight wheels that do what they are supposed to. Check out all the tools & equipment available on NAPA Online or trust one of our 16,000 NAPA AutoCare locations for routine maintenance and repairs. 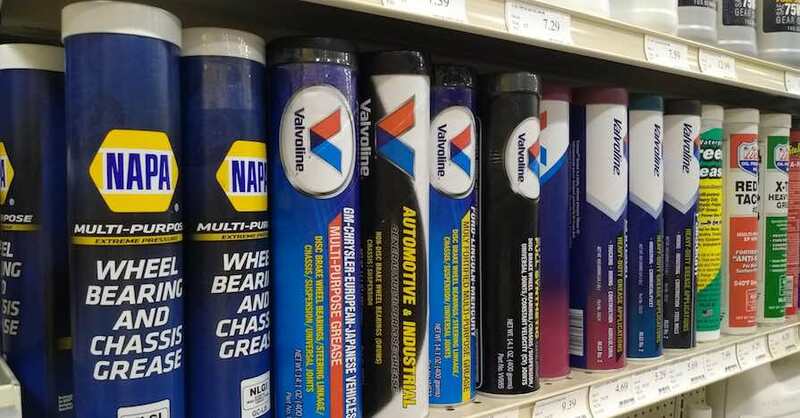 For more information on wheel alignment, chat with a knowledgeable expert at your local NAPA AUTO PARTS store. I have a 2011 Toyota Camry V6 , I want to know why my wheels have a roaring sound after a front wheel alignment and tires rotation done. Thank you for your question about your Camry’s noise, a NAPA Auto Parts representative will be contacting you via email shortly.